Target creature cannot be blocked by artifact creatures, and any damage taken from an artifact source is reduced to 0. 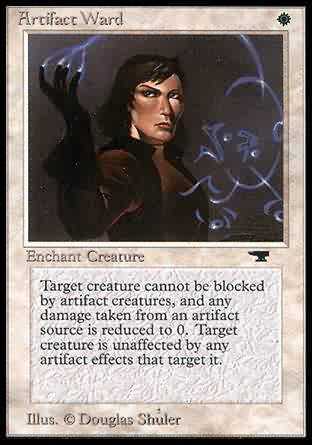 Target creature is unaffected by any artifact effects that target it. Enchanted creature has protection from artifacts. This effect doesn't remove Artifact Ward.